Previous PostTAX TIDBIT: OBAMACARE UPDATE – PART 2Next PostARE EXEMPT ORGANIZATIONS EXEMPT FROM 1099 FILING REQUIREMENTS? Distributions (does not apply to IRA’s) you receive after separating from service in or after the year you reach age 55. Distributions taken out over your life expectancy annually. These annual distributions must be made for at least 5 years or upon reaching age 59-1/2, whichever is later. Distributions taken out to pay for deductible unreimbursed medical expenses (in excess of the 10% adjusted gross income threshold). IRA distributions made for purchase of a first home, up to $10,000. Distributions received due to death or permanent disability. Distributions (but not IRA’s) received from an ex-spouse under a qualified domestic relations order as a result of divorce. 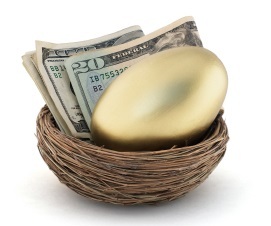 Roth IRA distributions work differently from qualified retirement plans or traditional IRA’s. As long as the Roth IRA plan has been established for at least 5 years and you are at least 59-1/2 years old, there is no tax at all on Roth IRA distributions. However, if you are in need of these funds, you are allowed to withdraw your cumulative unrecovered Roth IRA contributions at any time, and for any reason, without incurring tax or an early withdrawal penalty. If you have the need to take out qualified retirement funds or IRA funds prior to reaching age 59-1/2, we can help you navigate through these confusing IRS regulations. Please contact Andrew Ross, CPA at Bedard, Kurowicki & Co., CPA’s at (908) 782-7900 or email adr@bkc-cpa.com.